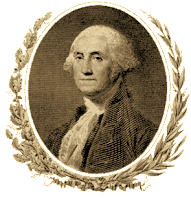 Tomorrow, for the first time in more than 200 years, a limited edition of Rye Whiskey made at the distillery owned by America's first President, George Washington, will go on sale to the public. 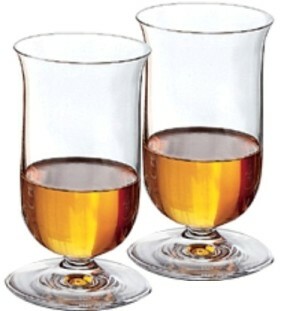 The whiskey was also made with Washington’s personal recipe: 60% rye, 35% corn, and 5% barley. Washington's Distillery burned down in 1814. It wasn’t until the mid-1990s that archaeological and historical research was conducted on the site, thanks to an agreement made between the Mount Vernon Ladies’ Association and the State of Virginia. 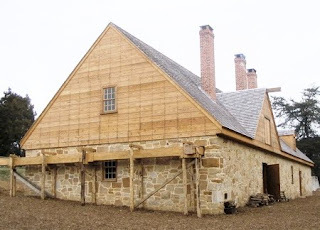 The now-reconstructed distillery is largely faithful in appearance to the original, with hand-finished wood and hand-wrought nails and hardware used throughout (18th century tools were utilized in the construction, too). It’s a working distillery, the only site in North American authentically demonstrating—down to costumes on the distillers—the way in which whiskey was distilled in the 18th century. The 2009 whiskey is expected to sell out quickly tomorrow. But don't despair if you can't be on hand! In the future, small bottles of whiskey distilled on-site will be on sale at the George Washington Distillery and Gristmill as well as at the Mount Vernon Estate. Profits benefit Mount Vernon's educational programs. By the way, the George Washington Distillery is considered to be the gateway to the American Whiskey Trail, a cultural heritage and tourism initiative that provides a “spirited” look at whiskey’s long and exciting history in the USA. Located three miles from Mount Vernon, the Distillery is open daily from April 1 through October 31. This week two separate travel industry events allowed me an opportunity to taste wines from the Australian island state of Tasmania and California’s Mendocino County. 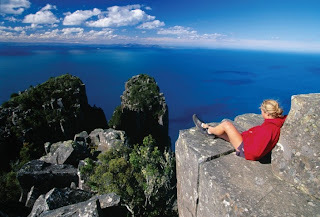 Today I’ll cover Tasmania. Held at the Swig Bar on Geary Street, the aptly-named Taste of Tasmania media event offered tantalizing samples of Tasmanian food, wine and spirits. The Jansz Tasmania Premium Cuvée—a sparkling wine made in the traditional méthode champenoise—was a wonderful new find. This classic blend of Chardonnay, Pinot Noir, and Meunier grapes is extremely balanced, with a citrus and pear flavor, spicy aromas, nicely complex, and at under $20 a very nice value. This wine can be easily bought online in the US. Jansz vineyards enjoy a climate similar to that of Champagne, and the region has come to be known as “Sparkling Tasmania.” In four out of the last six years, the Premium Cuvée has been chosen as Australia's official celebratory wine. I tasted two offerings from Moorilla Estate, which specializes in cool-climate wines. The Riesling 2008 (Muse Series) was excellent—quite dry, crisp and steely. The 2008 Pinot Noir (Muse Series) possessed an enticing berry aroma but upon tasting it I was disappointed. It seemed a bit thin and undeveloped—perhaps it simply needs more bottle time before coming into its own. 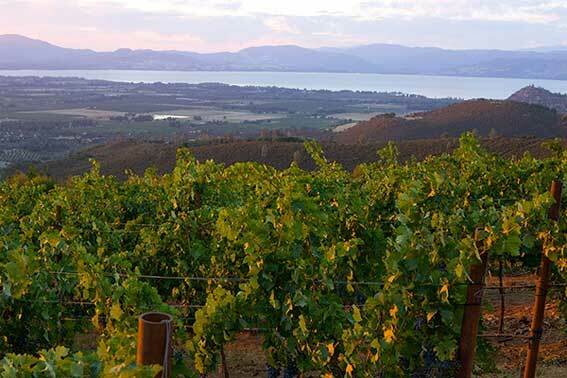 Moorilla wines are becoming easier to find in the U. S.
Moorilla Estate offers far more than wine. Its Source Restaurant, which utilizes local ingredients, prepares imaginative dishes such as “Crab, crab jelly, corn custard, almond, sauce verte” and “Wild line-caught fish, truffled macaroni, foie gras emulsion, jus” (the first, an appetizer; the second, a main course). It produces four beers under the Moo Brew label, which you can drink—along with wines—at the Estate’s Cellar Door. You can book a room at one of the eight Mona Pavilions overlooking the river (all feature tip-top modern art and are, I suspect, extremely expensive). And, as of 2011, the Estate will be home to the much-anticipated, $55 million Museum of Old and New Art—or, as it’s already known, MONA. Last on my Tasmania tasting excursion was a wonderful single malt whisky from Lark Distillery. Made from Tasmanian (Franklin) barley, it’s lightly peated, double-distilled, barreled in 100-liter oak casks and then aged up to 8 years in smaller barrels. Very malty, the peat’s definitely there but doesn’t overwhelm, a light-but-complex taste. 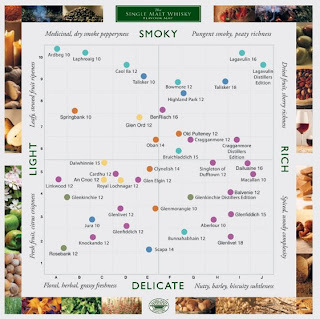 I do prefer more peat, but I thoroughly enjoyed this excellent whisky, which is becoming easier to find in the U. S.
By the way, if you're interested in single malt whisky, take a look at this previous post—it contains a link that lets you download a free single malt flavor map. 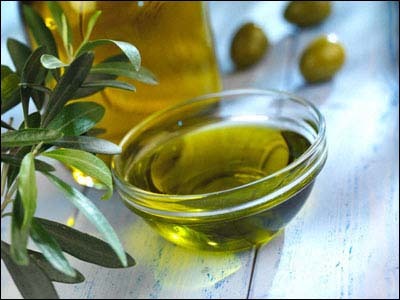 Breakthrough for Olive Oil Consumers: At last! The US Department of Agriculture has finally revised olive oil grade standards so that they conform to industry standards commonly accepted here and abroad. In other words, if it says Extra Virgin Olive Oil on the bottle, the contents must soon meet the scientifically verifiable criteria that defines Exra Virgin Olive Oil. The revised standards--which take effect on October 25, 2010--present objective criteria for all grades of olive oil and olive-pomace oil (extra virgin olive oil, virgin olive oil, olive oil, refined olive oil, and olive pomace oil). This is a great accomplishment on behalf of consumers. To get a detailed look at the new standards, download the USDA publication, United States Standards for Grades of Olive Oil and Olive-Pomace Oil. 2010 Grape Harvest Celebration News: Charles Krug Winery recently announced dates for its annual grape harvest celebration, "The Tasting on the Lawn." The event--held on the estate's expansive, oak-shaded Great Lawn--will take place on Sunday, September 11 from 2-5 p.m. 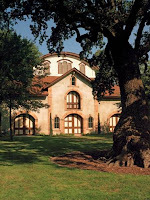 Considered the winery’s signature tasting event, the celebration began in 1951; it's one of the earliest events of its kind (possibly the first). 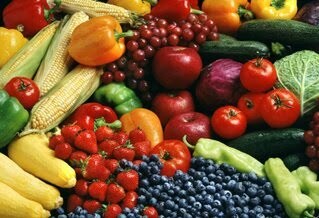 Nutritarians Eat the Rainbow: I'd never heard the term "Nutritarian" until a couple of days ago, when I happened across an informative article on the subject at denverpost.com. I suppose I've been a Nutrarian for a long time without knowing it. Simply put, a Nutritarian believes in that old adage, "You are what you eat," and follows suit with a diet geared toward high-nutrient food choices: veggies, fruits, legumes, nuts & seeds, and whole grains. From what I can gather (I'm not sure), you don't need to be a vegetarian to qualify as a Nutrarian. I do eat meat, and enjoy it, but it's certainly not the rally point for my diet. Central to nutritarianism is the understanding that fruits and vegetables contain thousands of vitamins, minerals and phytochemicals— substances they believe are not found in any other food source. So, how can you tell if a food is high in phytonutrients? Eat the rainbow, says Jairam Vanamala, a professor in Colorado State University's department of food science and human nutrition. Since phytochemicals and color are linked, eating fruits and vegetables representing a wide range of colors provides a smorgasbord of phytochemicals. The article also quotes Dr. Joel Fuhrman, a Florida physician/author who invented the word Nutritarian and wrote the books Eat to Live and Eat For Health. He also developed the ANDI (Aggregate Nutrient Density Index) that shows at a glance a food's nutrient-richness. In this index, which tops out at 1000, the higher the score the better. 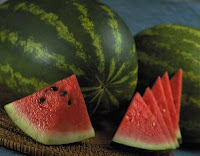 Watermelons have higher concentrations of lycopene than any other fresh fruit or vegetable. A recent study by the USDA established that watermelon can help maintain cardiovascular function and health, help maintain the arteries, and help maintain blood flow and heart health. A 2-cup serving of watermelon is an excellent source of Vitamins A, B6 and C; and a source of potassium. In my last post about watermelon, just about a year ago, I passed along a "cool-me-down" recipe for Watermelon Cherry Mojitos. Extremely refreshing, someething of a life-saver come the dog days of August. Put the watermelon cubes in a colander over a bowl and place in the refrigerator to drain for 30 minutes. After the watermelon has drained, remove and pat dry with a paper towel. In a bowl, combine the lime juice, olive oil, garlic, ginger, cilantro, and salt. 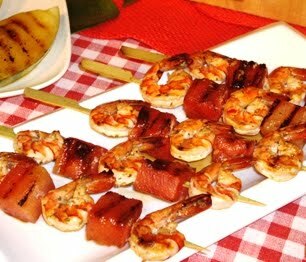 Pour ½ the marinade over the shrimp, cover, and refrigerate for 20 minutes. Place the skewers on the grill and grill for about 3 minutes each side. 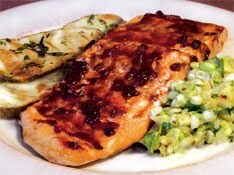 Serve alongside the marinade that the watermelon was tossed in. Here’s an easy way you can do a little bit of good for the planet while learning something new. Where to find the Best Pad Thai in Bangkok: Not a fancy restaurant, but two female vendors who share a street stand a few minutes from the Grand Palace. “Made to order, they were the most beautifully plated and delicious Thai noodle dishes we had while in Bangkok." Live Baby Octopus in Korea: Even though the octopus was chopped up right before serving, “the tentacles kept wriggling angrily and sucking onto my chopsticks.” Okay, I admit it, I might not give this one a try. 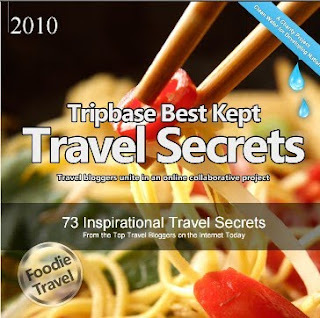 Download Tripbase’s free Foodie Travel eBook, or one of their other themed travel tip eBooks: Worldwide Beaches, Family Travel, Italy Travel, U. S. Travel, Worldwide Travel, and just plain old “Travel Tips.” They can all be selected and downloaded from this page. Earlier this week I visited Artesa Winery, one of my favorite destinations in Napa’s Carneros region. The occasion: a tasting, including barrel samples, conducted by winemaker Mark Beringer. One of the reasons I like visiting Artesa so much: its bold architecture. 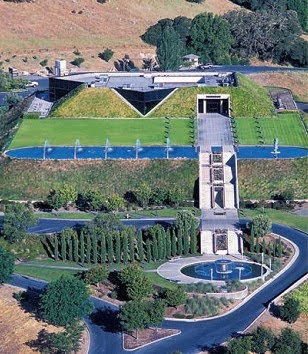 Completed in 1991 and poised atop a high hill on a bucolic country road, you don't really see the 127,000 square-foot, pyramid-shaped winery until you've arrived. That's because the building, designed by Spanish architect Domingo Triay, is built into the top of a hill—and I mean built into. Triay thought that the gently-sloping hill was much more impressive than any building would be sitting on top of it, so his design hid the building inside the hill to keep the property's beauty intact. The construction involved removing the first 30 feet or so of the hill and temporarily storing the soil. The environmentally-conscious winery was then built from the top floor downward into the ground (there are four floors). 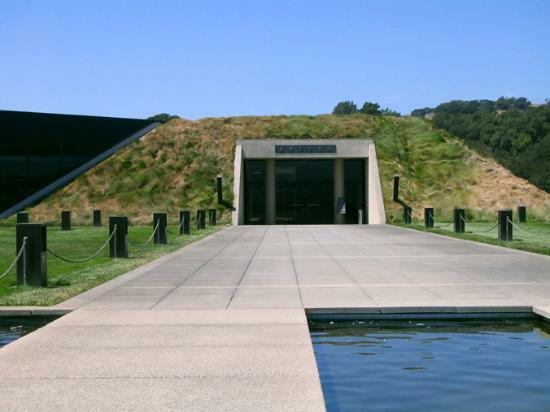 When completed, the stored soil was returned to its rightful place atop the hill—which by this point was also the top of the winery; the hill ended up being the same height as at the beginning, although a winery was now inside. Today the winery’s roof is covered over with native grasses. Although the large building is beneath ground, terraces, platforms, open-air patios, skylights and giant windows bring the outside in and the inside out. And yet, though much of the building is hidden from view, there is absolutely nothing shy or modest about Artesa. To the contrary. The entrance path to the winery—an incredibly broad set of stairs that appears to climb upward toward the sky and is bordered by cascading waterfalls the entire way—pauses on a landing where a huge modern fountain is surrounded by sculptured thrusts of aluminum. And upward a few stairs from that is a terrace offering a 360° vista of the Carneros, the Bay beyond, and San Francisco beyond that. And then, finally, after all of this prelude, you walk into the winery, which is open, airy, modernistic and minimal. Art is everywhere, most of it created by resident artist Gordon Heuther, who works in various media including metal sculpture and painting. 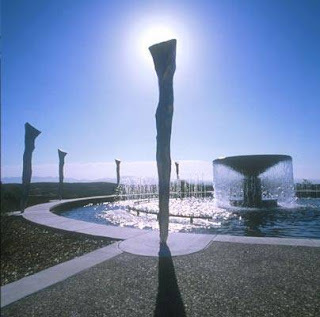 It's his upward-thrusting sculpture that surrounds the main fountain. Fifth-generation Napa winemaker Mark Beringer joined Artesa in 2009 after an illustrious 16-year stint with Duckhorn Vineyards. As Artesa’s Vice President of Production and Winemaking, he has been charged with returning Artesa’s primary focus to “the jewels of the Carneros”—Chardonnay and Pinot Noir. His winemaking style is geared to letting the terroir speak for itself. To do that, he employs--along with intuition--small-lot production, low-manipulation techniques (e.g., gravity flow, gentle pressing), and constant experimentation. The barrel samples offered tantalizing hints of what’s to come under Beringer. We tried the Block 921 2009 Estate Reserve Chardonnay; It was still on the lees and thus a little hazy; since I'm a fan of unfiltered wine, I'm not fazed by haze. The wine possessed a decided hint of citrus and loads of bright fruit flavor. 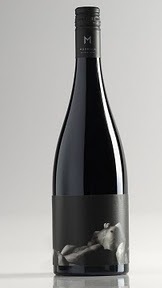 The 2009 Estate Vineyards Pinot, Block 91-D, was intensely fruit-driven, with a nicely developing spice. We also tasted bottled 2007 and 2008 Chardonnays and Pinots. Excellent wines all, but for me the standout among the bottles was the 2007 Pinot Noir Carneros Estate Vineyard. Intensely berry/cherry/touch-of-floral aroma; rich and supple; great structure. Yeah, I liked it! Later, over lunch, we were served an amazingly good wine with dessert—the 2008 Pinot Rosé, Carneros. Not a hint of sweetness, yet it was the perfect complement to the Bing Cherry Crisp topped with Blackberry Cabernet Sorbet and Berry Mignardises. Sipping it, I "deja-vued" about one of my first trips to France years ago. In those days, rosé wine in the US, even in California, was sweet. I hated it. But somewhere in Provence one summer someone talked me into trying a French rosé. Dry, crisp and something of a tease, it was a revelation. Artesa is open daily from 10 to 5. The tasting room terrace is wildly popular on weekends, what with the comfortable seating and a view stretching forever…or at least all the way to San Francisco. So if you don't like crowds, try visiting during the week. No appointment needed for basic tastings. 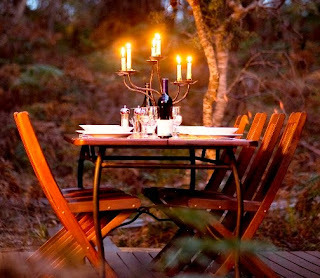 However, for tours or more elaborate tastings—for example, the Food & Wine Pairing in which the resident chef pairs nine tastes with single-vineyard or limited-release wines—you’ll need to make advance reservations. 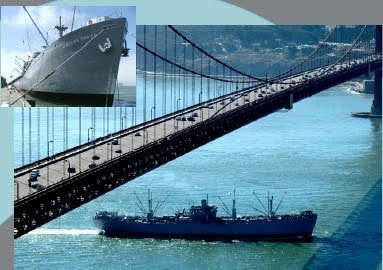 The California Travel Industry Association has announced its 2010 CalTIA Industry Awards, which recognize achievements and commitment to sustainability, innovation, stewardship and good citizenship in the development and promotion of California tourism. 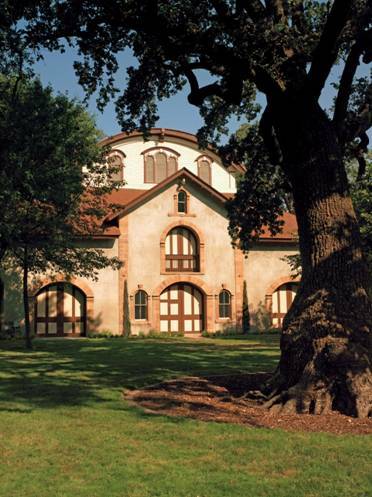 The CalTIA Winery of the Year, Wente Vineyards of Livermore Valley, was founded in 1883 by Carl Wente. Now run by the fourth and fifth Wente generations, it's the country's oldest, continually-operated, family-owned winery, blending traditional and innovative wine-making practices and sustainably farming on 3,000 acres of Estate vineyards. Official CalTIA notes about the Award point to "the winery's contribution to developing the California Tourism brand. 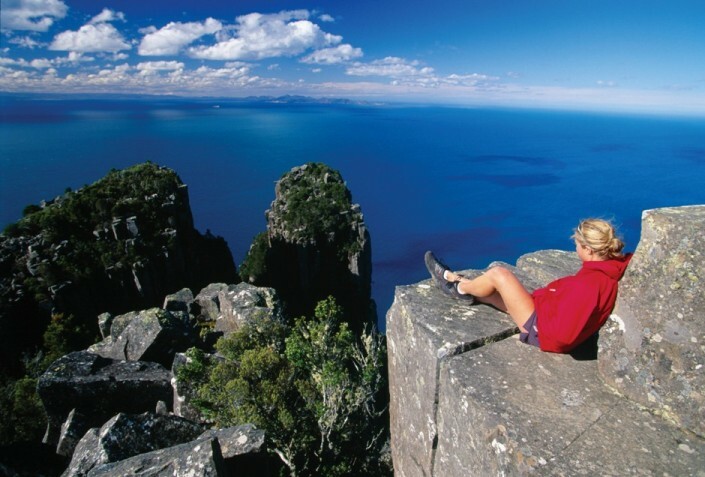 The award recognizes innovation, success and commitment to the travel industry." 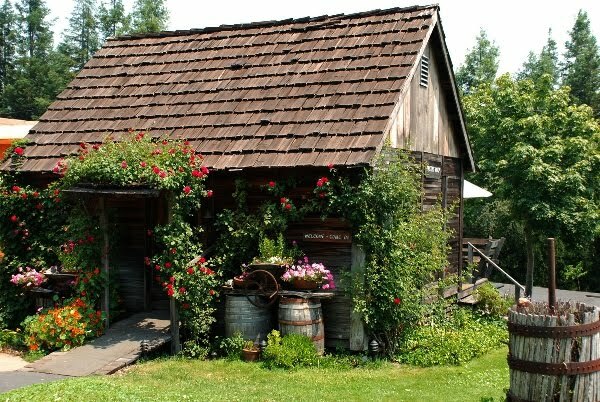 CalTIA also cited Wente's Farming for the Future program of sustainable viticultural practices designed to produce high-quality wines with the least environmental impact. Sustainable philosophies extend into all aspects of the business. 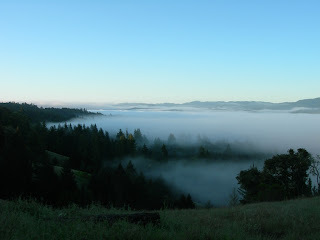 Last year's Winery of the Year was the Mendocino Wine Company. 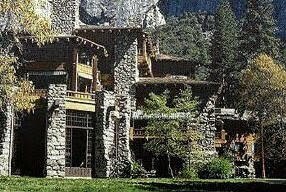 Previous winners include Chateau Montelena, Korbel Champagne Cellars, and Ridge Vineyards. Since you're reading the Culinary Gadabout, you'll also be interested to learn that Suzanne Goin received CalTIA's Chef of the Year award. Goin and her Los Angeles restaurants (The A.O.C., Lucques, Tavern, and The Hungry Cat) have won many previous awards, including the coveted James Beard designation as Best Chef (2006). 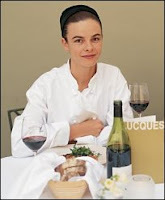 That same year Goin's cookbook, Sunday Suppers at Lucques, was nominated as Best Cookbook from a Professional Viewpoint by the James Beard Foundation. Goin has been described as the "picture-perfect California chef, demonstrating outstanding passion and skill in using only the best ingredients, combining them to give any diner an unforgettable experience." The 2009 Chef of the Year was Bradley Ogden of Marin County's Lark Creek Inn. Previous winners have included Julia Child, Thomas Keller, Michael Mina, and Gary Danko. The Steward of the Year award was given to Bill Lane & the Lane Family of Sunset Magazine. The Tourism Champion of the Year is Huell Howser, host of the California Gold TV series.